Sure, it may only be October, but that doesn’t mean it’s too early to start thinking about exciting spring break destinations. Next year, instead of heading to Cancun or Daytona Beach, may we suggest heading to Helsinki for its annual Sauna Day celebration? On March 18, 2018 Helsinki, Finland’s capital city, will celebrate “Sauna Day” — and it may in fact be the ultimate place for spring breakers of any age to come, relax, and find themselves renewed on the other side. There, visitors can slip into one of Finland's nearly 2 million saunas to relieve stress, or as a press release for the event explained, to also socialize with others and even improve your cardiovascular performance. During the celebratory day visitors can visit one of Finland’s eight arctic saunas that “provide physical and spiritual cleansing along with an unforgettable vacation adventure.” Tourists are even invited to visit a sauna inside a Finnish family’s home to truly get in touch with the locals. But if saunaing in a private home isn’t your thing ,you could try something a bit more out of the ordinary, like hopping aboard your own private sauna bus that comes fully equipped with a karaoke machine. 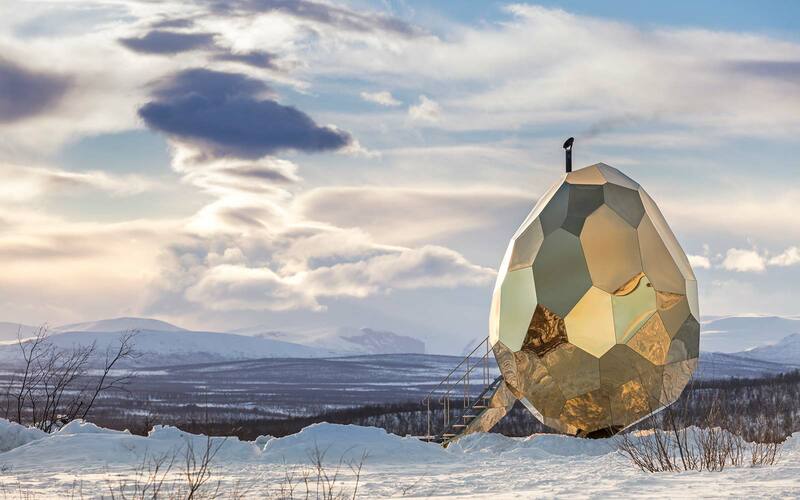 Visitors can even choose to soar above the breathtaking views of the Finnish countryside on a moving gondola sauna. The experts at Helsinki’s Sauna Day suggested to Travel+Leisure that beginners stick with a traditional smoke or wood heated sauna for their first time, and intermittently take a dip in the arctic lakes between sessions to help the body heal. Whatever Sauna Day experience you choose, it’s key to remember to drink enough water while taking a sauna, however “beer or cider” will suffice, too. Sounds like a pretty lit spring break to us.